I am honored to lead the District Attorney's Office in the pursuit of justice and to fulfill the mandate to keep Williamson County safe. Government is built on a system of laws, by and for the people. Whenever we allow egos, personal agendas, or politics to affect the outcome of a criminal case, we erode the public’s confidence in our system of laws. We must hold those guilty of harming our society accountable, but do so fairly, honestly, and openly or we risk fracturing the public's trust. My office will preserve the integrity of the criminal justice system with a staff of professional and experienced prosecutors. 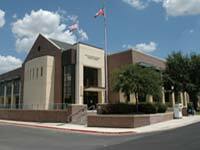 The District Attorney's Office will restore Williamson County's proud tradition of integrity in justice. I believe that our citizens deserve nothing less.